Just off the Hotel mezzanine is the charming and intimate Card Room with its China red walls and grey, black and red floor tiles, some in a motif of playing cards and others portraying a stately art deco rooster peering into an effervescent cocktail. The hotel’s Black Rooster lounge is named for this whimsical bird! 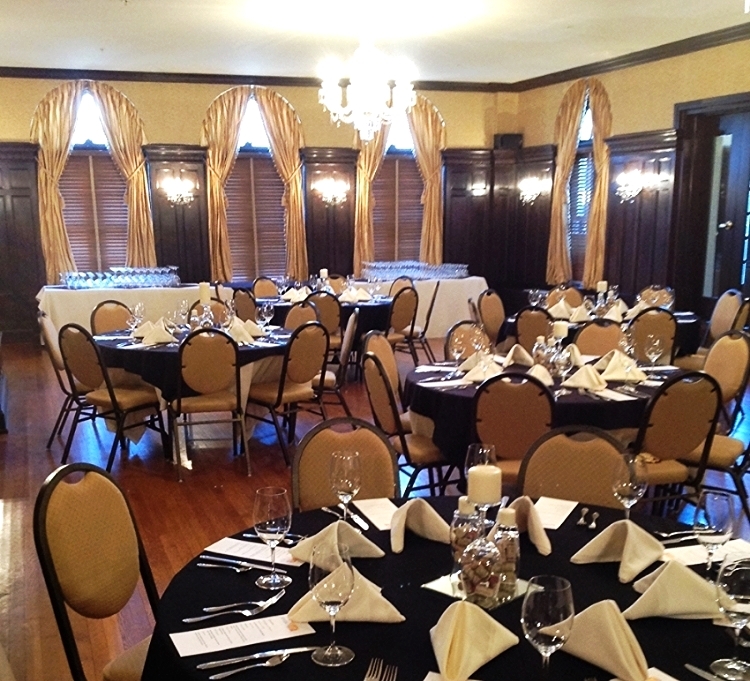 The Card Room can be booked for an intimate dinner, or as an overflow room for dinners and receptions. With its original deep walnut wood paneling, gracefully arched windows, and sumptuous décor, the Lincoln Ballroom is the perfect setting for banquets, dinner parties and receptions. The Ballroom was named for Charles Clarke Lincoln, Sr., one of the Hotel’s builders and original owners. 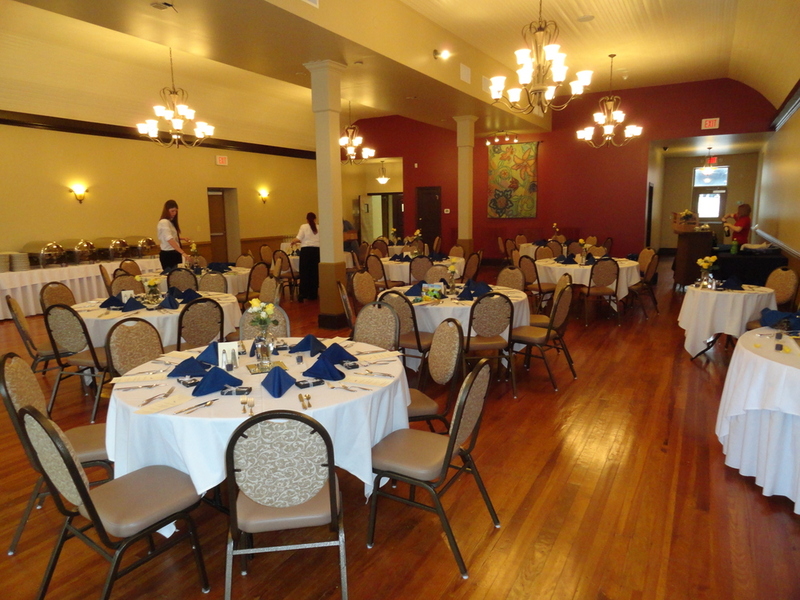 Fronting Main Street, just across the hallway from our ballroom, is this renovated space. Featuring a separate entrance, deck and private restrooms, this is an ideal setting for large gatherings. 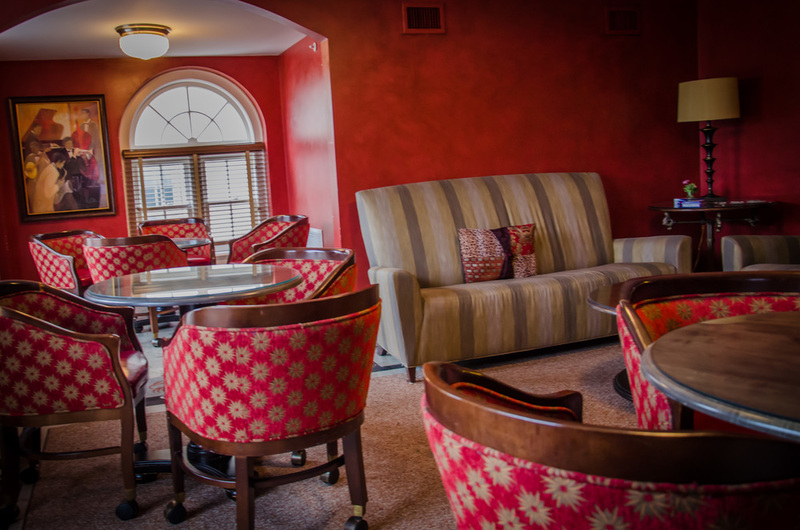 A comfortable space and impeccable service are key to the success of a meeting. Named for a former proprietor of the hotel, the Bowen Boardroom is equipped with a large plasma video monitor a Polycom Soundstation conference phone and of course – high speed internet service.